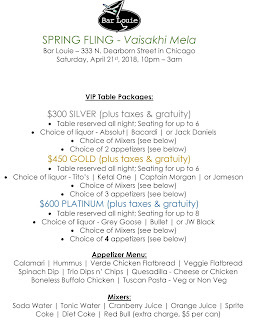 ABCDchicago: Spring Fling - Chicago's Official Vaisakhi Mela! 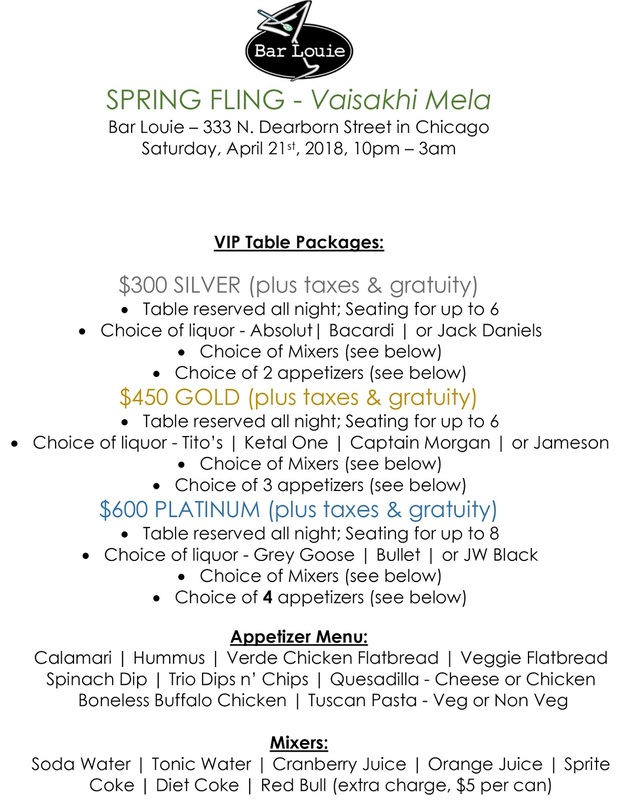 Spring Fling - Chicago's Official Vaisakhi Mela! UPDATE (8:28pm CST): Tickets available at the door. DJ Sunny Singh spins the latest Bollywood, Bhangra, and Mainstream Dance Tracks! LIVE Dhol too! 21 to enter. No valet. Street parking only. $4 Mandatory coat check.